Hightail is a significant firmer for Magic Millions 2YO Classic after winning at Randwick. Hightail has been crunched in markets for the Magic Millions Classic following his Randwick win despite trainer Peter Snowden cautioning he is not a certain runner. The colt claimed his second win from three starts in Saturday’s two-year-old handicap with his price for next week’s $2 million 2YO Classic at the Gold Coast immediately slashed from $101 to $26 and further cut to $15. Snowden, who trains in partnership with his son Paul, says he will wait at least a day before deciding whether Hightail makes the trip to Queensland which would mean racing on three consecutive Saturdays. He finished third to the Lindsay Park-trained Movie Role at Randwick a week ago with the filly also at $15 for the Magic Millions Classic. “He probably lacks real ‘A-class’ ability but he is very genuine and won easily today,” Snowden said. “Whether he goes to the Magic Millions or not, I will make that call on Sunday. “It’s a big ask. He has raced two weeks in a row and it would mean three weeks and a road trip so it is not ideal. The $3 favourite, Hightail raced in the first three and drew away to beat Avon River ($3.80) by 2-1/4 lengths with Twentyfour Carat ($8) another half head third. 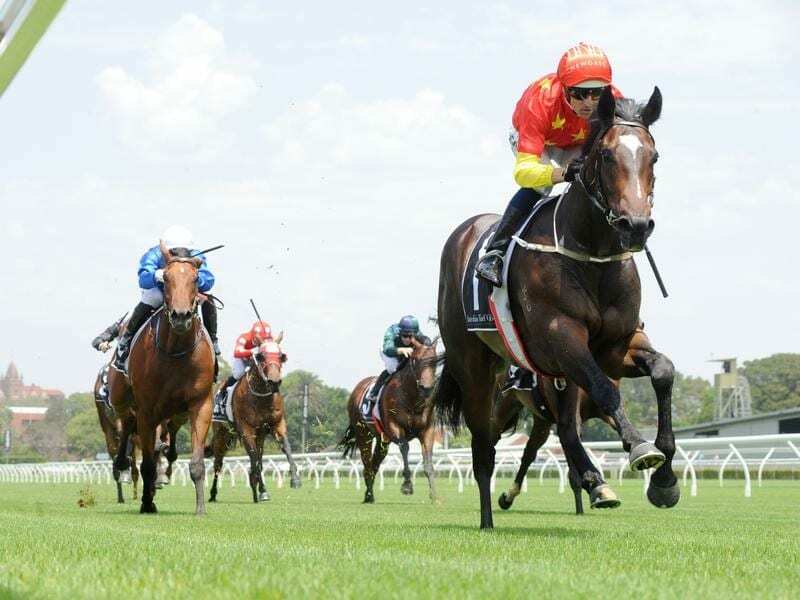 The race was shortened to 1150m with the switch of the meeting from Warwick Farm to the Kensington track because of predicted extreme temperatures in Sydney’s west. Hugh Bowman, who rode Hightail, has not yet confirmed a Magic Millions mount but says he expects to do so in the next 24 hours.